Greek Orthodox Community of Melbourne and Victoria - Can Greece come out of the crisis, and how? Distinguished Professor Loukas Tsoukalis will present a lecture entitled “Can Greece come out of the crisis, and how?”, at the Greek Centre, on Monday 23 October 2017. When the big international bubble burst, Greece was completely exposed with a huge debt and equally large deficits. The high standard of living financed through borrowed money could no longer be sustained. And then the country entered a long and deep crisis during which the economy imploded and so did the old political system set up after the fall of the dictatorship. 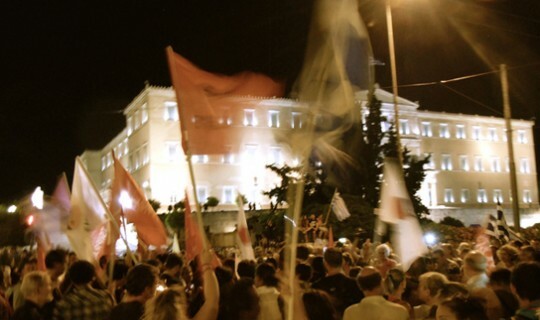 What lessons can we draw from the crisis for Greece and her relations with European partners, allies and others? What went wrong with Greece’s economic model? And what were the strategic errors committed in the (mis)management of the crisis? Many things need to change for Greece to safely exit the crisis thus creating the conditions for sustainable development. But are we ready, and most importantly, can we agree among ourselves even on the basics? Professor Loukas Tsoukalis was born in Athens. He studied economics and international relations at the University of Manchester, the College of Europe in Bruges, and the University of Oxford where he obtained his doctoral degree. He taught for many years at Oxford University and later became Professor at the European Institute of the London School of Economics and Political Science and the University of Athens. He was Visiting Professor at Harvard University in 2016. He has advised the former President of the European Commission and the former President of the European Council. He is President of the Hellenic Foundation for European and Foreign Policy (ELIAMEP) and Visiting Professor at the College of Europe. His latest book In Defence of Europe: Can the European Project Be Saved? was published in 2016 by Oxford University Press. The Greek edition has been published by Papadopoulos Press. Commander of the Order of the Phoenix of the Hellenic Republic and the Légion d’honneur of the French Republic for his contribution to European integration. He has received various academic distinctions and awards.